SC (WMBF) - The time is approaching to honor the brave service men and women who fought and are currently fighting for our country. Veterans Day 2014 is on Tuesday, November 11 and there will be several events in our area, dedicated to expressing gratitude to all soldiers. Click here for a list of offers, deals, freebies and incentives for veterans and active duty military. The Carolina Forest Library is hosting the 3rd Annual Veterans Appreciation Reception on Monday, November 10. The reception sponsored by the Friends of the Carolina Forest Library, will begin at 3 p.m. and is open to all veterans. There will be refreshments, door prizes and time to fellowship. The reception is free but seats are limited. To reserve your seat, contact Kim at (843) 915-5282 and press one. There will be a Veteran's Day Ceremony at the Myrtle Beach Convention Center from Tuesday, November 11, at 12 a.m. to Wednesday, November 12, at 12 a.m. The convention center is located at 2101 Oak Street. Click here for more information. The Center for Military & Veterans Studies will host an American veterans salute on November 11, from 7:30 p.m. to 9:30 p.m. There will be a Veteran's Day Ceremony at the Dr. John M. Thomason Public Library, in Olanta on November 11. The event will begin at 11 a.m. Rev. Fred Huth, World War II veteran, will be the keynote speaker, there will be veteran themed art, essay contests featuring Olanta Elementary School students and lunch will be served immediately after the ceremony for veterans and their spouses. The Annual Florence Veterans Day Ceremony will be November 11 at the Florence Veterans Park. The ceremony will begin at 11 a.m. USN Commandant of Cadets at the Citadel and US Navy veteran, Captain Geno F. Paluso, will be the guest speaker. There will be other special guests, the US Navy and the US Coast Guard monuments will be unveiled. 36 new tiles of the Wall of Honor will also be revealed. The Florence Veterans Park is located at located at 601 Woody Jones Boulevard. The annual Georgetown Veterans Day Parade will be held on November 11 at 4 p.m. to 6 p.m.
Civic groups, churches, scout troops, patriotic organizations, schools and others who are interested in participating are welcome. Lineup begins at 3 p.m. at East Bay Park. For more information, please contact Richard Hathaway at 843.546.0529, Franklin McCray at 843.237.3187, Rodney Ward at 843.833.3700, Mary Alfonsi at 843.240-0249 or Paige Sawyer at 843.546.3745. On November 11, at 9 a.m., there will be a graveside flag service at Belin Cemetery. Highway 17 Business, in Murrells Inlet. 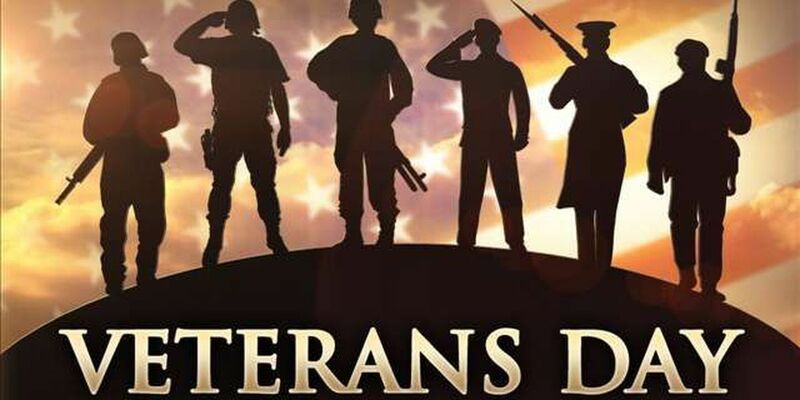 There will be a Veterans Day Service at VFW Post 10420, on Tuesday, November 11, at 12 p.m.
Bob Racine, founder of The Warrior Ride, will be a guest speaker and there will be refreshments after the service. The VFW is located on 3459 Highway 17 bypass, in Murrells Inlet.